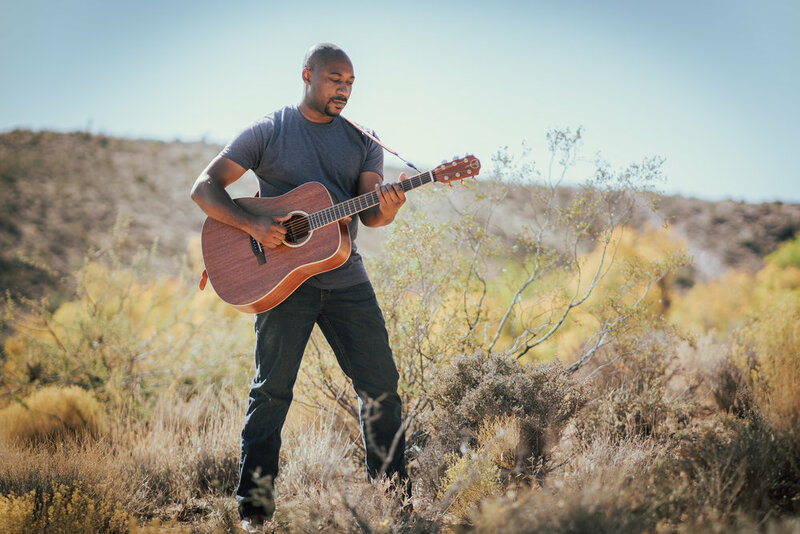 Making his Chicago performance debut in support of his new album, DRIFTING,singer-songwriter, Toney Rocks delivers an intimate concert exploding with diversity featuring his soulful singing supported by acoustic guitars, ukulele and piano. The Las Vegas Weekly recently named Rocks as one of 10 Las Vegas Artists to Watch in 2017. Kathy Forste, Music Director of KC Cafe Radio said, “Toney Rocks voice is cool and sweet, rocking and lyrical. His songs are thoughtful and hummable...”. Ray Sang from UK blog IndustryME says, "I was sold as soon as I heard the husky tones of Toney's voice". Toney Rocks songwriting is steeped in folk, blues and rock influences which has led to Toney Rocks sharing the stage as a guest with folk music legend, David Bromberg. In addition to headlining concerts around the U.S., he has opened for artists such as Corey Harris and Jarekus Singleton. Chicago native Rebecca Jasso is a singer/songwriter who playfully writes around the themes of love, loneliness, and fantasy, skillfully weaving her melodies into the harmonic fabric of her fingerstyle guitar playing. Music has had a strong hold over Rebecca since childhood. At age 10, she took up the guitar, and since the very beginning, sought to write good songs. Despite learning at this young age, it wasn't till after college that she worked up the confidence to take her music to the stage. For years she oscillated between playing solo and in bands, with each wave bringing her closer to chiseling out a style that would be her very own. A visual artist, Rebecca conjures images with her lyrics to insert you into pictures from her own imagination. From soft, autumnal landscapes, to dark, Narnian scenes, each song is a journey into a new story. Her honest voice and beautiful songs will absolutely charm you. Sarah Eide is no stranger to gripping an audience with her powerful voice and lyrically beautiful music. A classical piano background coupled with a love for American folk and roots music has led Sarah to writing songs that are daring yet familiar. She writes lyrics that are all at once raw, smart and intimate, while wrapping them in expressive melodies and adventurous chord changes. It's within these songs that she dares question aloud spirituality, morality, relationships, societal standards, her place in the world and where the line lies between right and wrong. Having graduated from Berklee College of Music, Sarah intended to make her mark in LA as a film composer. While she was well on her way to doing so, she ended up in the Midwest by an unexpected twist of fate. After months of working remotely on various independent games, advertisements and films, she found herself feeling unfulfilled and yearning for more. "I came to Chicago without knowing anyone in the music scene. I had to figure out who I was as a musician and songwriter, as well as who I was as a person. Somehow that feeling of loneliness and exploring the unknown thrust me into my own self discovery and got the creative juices flowing. I'd like to think a lot of good has come from it," Sarah says. The result of this creative struggle is an arsenal of new songs accompanied by musicians from an ever-expanding network. Since late October 2014, Sarah began playing in Chicago proper, all the while gaining new fans and attracting the attention of Chicago music's best.